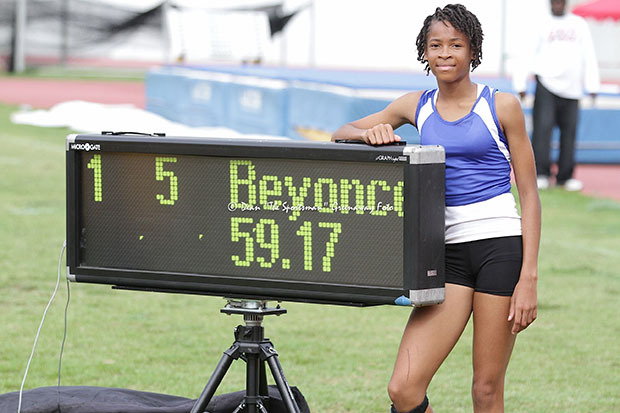 MAY 22—Three successive meets, beginning with the BVI Youth Championships Friday—which doubles as World Athletics Day—will lead to the close of the 2013 domestic track and field season. The territory’s top U15 athletes who competed in the Inter Primary Championships, BFEC and ESHS Championships as well as others have been invited to the 2-day competition that starts with the 100m heats at 5:30 p.m. on Friday afternoon. The meet continues its morning session at 9:45 a.m. on Saturday, with an afternoon session starting at 4 p.m. Following the BVI Youth Championships will be the inaugural BVI Twilight Invitational. This meet will also be run in conjunction with the Leeward Islands Jr. Invitational and will feature several Carifta Games finalists and medalists. Last year, the BVI Athletics Association won the NACAC Region Spirit of the World Award from the IAAF for the revival of the Leeward Islands competition, which was held for the first time since 2008 when we last hosted it. Participants are expected from: Anguilla, Dominica, Guadeloupe, St. Kitts, Nevis, Trinidad and the U.S. Virgin Islands. While the BVI Twilight Invitational will showcase professional athletes with several interesting matchups, the Dominican Republic’s Women’s 4x100m Relay will square off with the BVI and an All Stars squad. The curtains will come down on the 2013 season with the June 7-8 CAC Age Group Championships Trials. This competition will be used to select the team for this year’s championships slated for Curacao, June 29-30. The BVI hosted the last edition of the CAC Age Group Championships in 2011.